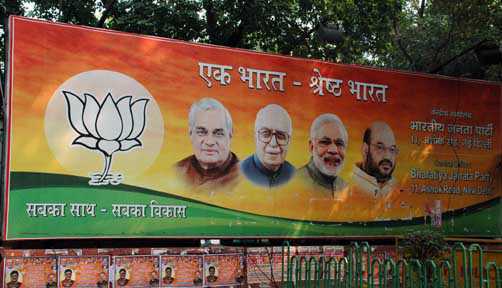 New Delhi/Kolkata: The ruling BJP is moving the Calcutta High Court again on Monday protesting against the West Bengal government denial of permission for the party's proposed Rath Yatra or 'Save Democracy Rally' across the state eying the 2019 parliamentary elections. According to state BJP president Dilip Ghosh, the West Bengal BJP unit is moving the court again today as the Mamata Banerjee led government denied the permission for the yatra on Saturday last observing that "The Raths, if permitted, will incite communal flare-ups statewide". "People in the state are ready for a change after BJP's growth and its success in winning over 7000 seats in panchayat polls and hence it had rattled the Chief Minister who is taking such undemocratic decision", Mr Ghosh maintained. "The three yatras we have planned for organisational expansion in West Bengal will certainly happen and the Raths will roll out in the state as planned. Mamata Banerjee and her dispensation won't cow down BJP workers." Mr. Ghosh opined. According to sources, the West Bengal government had sent a letter in this respect to the BJP state unit. In the letter, the state government maintained that the permission for the yatra could not be given as it might create communal tension in the state. "RSS, VHP and others like Bajrang Dal are scheduled to take part in the yatra and these may incite communal violence across the state," the sources quoting the letter said. However, the permission for a meeting of BJP might be given if okayed by the district administration. Informatively, after the Calcutta High Court's denial of permission to the rath yatra on December 7 from Cooch Behar, it had asked the Bengal administration to "cooperate" with the BJP. After the direction from Division Bench of Calcutta High court, the BJP has filed a caveat in the Supreme Court in this regard.